Overran runway and crashed into bay. 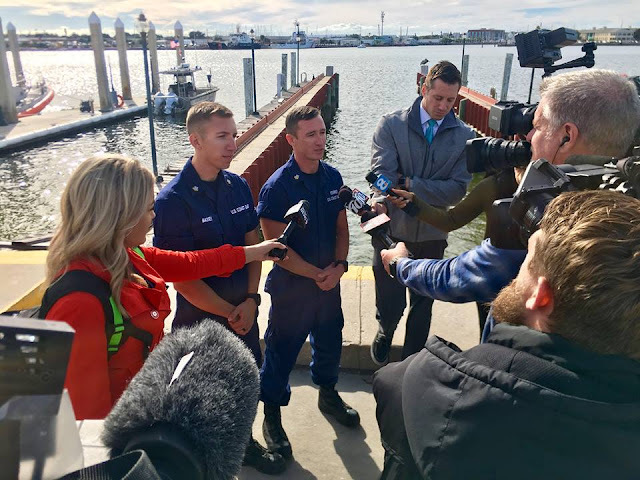 Good Samaritans, Coast Guard Station St. Petersburg and United States Coast Guard Sector St Petersburg rescue 4 after plane crashes near Albert Whitted Airport in St. Petersburg. A 29-foot Response Boat-Small boat crew from Coast Guard Station St. Petersburg was diverted and arrived on scene within minutes. Good Samaritans hoisted all four aboard their boat and transferred them to RB-S crew. The four were transported to Coast Guard Station St. Petersburg where EMS was waiting. No life threatening injuries reported. ST. PETERSBURG, Fla. -- A small aircraft crashed Wednesday afternoon in the water near Albert Whitted Airport in St. Petersburg. 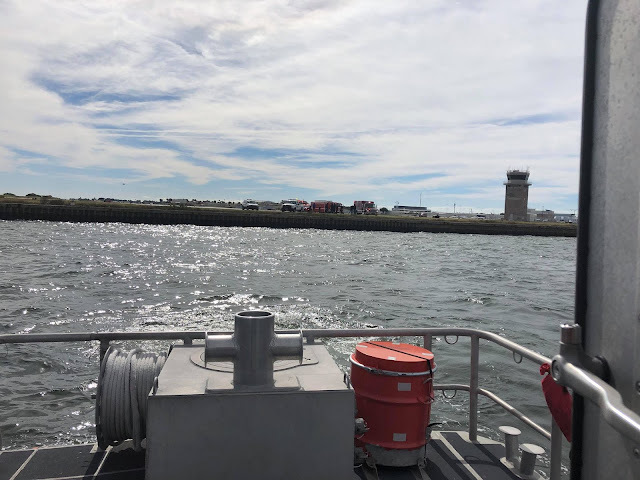 The Coast Guard rescued four occupants from the water. A local emergency official said the people involved in the crash are being treated. According to the Coast Guard, their injuries are minor. Albert Whitted Airport is owned and operated by the city. According to the Federal Aviation Administration, the aircraft is registered to St. Pete Aviation Services LLC, which offers flight training and rentals. 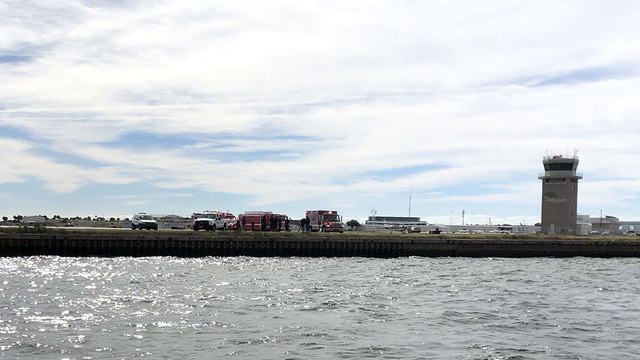 ST. PETERSBURG — A small airplane crashed in the waters off St. Petersburg's Albert Whitted Airport on Wednesday, rescue crews said. The single-engine plane, believed to be a Cessna 172, went down just after 12:30 p.m., according to the U.S. Coast Guard's St. Petersburg sector. 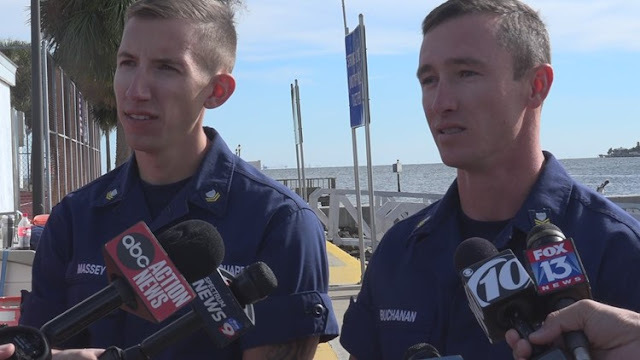 Petty officers Jeremy Buchanan and Aaron Massey were already out on the water conducting training exercises when they said they noticed a large splash just off the airport's runway about 100 yards off shore, near the St. Petersburg Municipal Marina. A local boater took notice, too, and was the first to reach the site of the crash. He and about 3 others who were fishing that morning managed to pluck all four of the plane's passengers from the water, Massey said. The passengers, all men, were then transferred to the Coast Guard crew's rescue boat, he said. It all happened so quickly nobody managed to catch the rescuers names. "They were shaken up as you would be surviving a plane crash, but they were extremely grateful," Buchanan said. Authorities are still unsure what caused the crash but the Coast Guard crew said they believe it was attempting to take off from the airport. 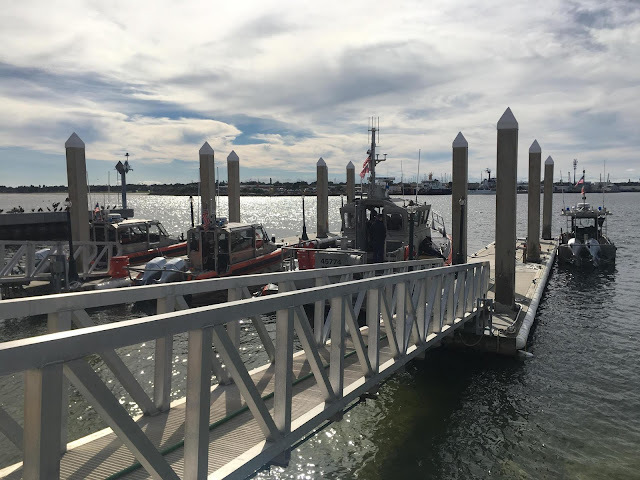 All were taken to a nearby Coast Guard base where they were treated for their injuries. One passenger was taken to Bayfront Health's St. Petersburg hospital, but was transported as a "non-emergency patient," St. Petersburg Fire Rescue spokesman Lt. Steve Lawrence said. The plane was left behind and by Wednesday afternoon was sinking into Tampa Bay, about 100 yards off the shoreline. 4 people in a 172 was asking for trouble. Glad they are okay.